My friend and colleague Alex writes about contemporary politics in Nigeria, Sudan, Senegal, Mali, Niger, Chad, Ethiopia and Somalia, to name a few. 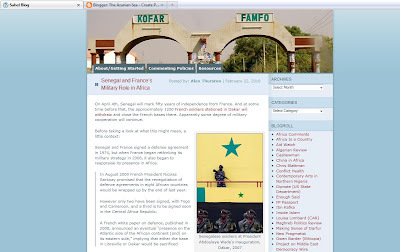 If you are looking to up your game as far as African politics go, his site is a great resource. Hussein Machozi "Kwa Ajili Yako"